92 of Phoenix, Arizona passed away on October 25, 2010. Ellie was born on January 20, 1919, in Wayne, Nebraska and was raised in Iowa, along with her sister and four brothers by their parents Al and Mary Lantaff. Ellie attended business college and worked for the Federal Bureau of Investigation in Washington, DC for several years. She married the love of her life, Bill Gallagher, who returned from active duty in 1945 and packed Ellie and her young son, Mike off to California. Son Pat came along about five years later. Ellie spent twenty plus years of her life preparing pre-game meals and attending more youth, high school and college sporting events watching her boys than anybody ought to be exposed to. Her family and her Catholic faith richly filled her life. Since 1973 when Bill died, Ellie has lived in Phoenix being a wonderful mother, grandmother and great-grandmother. She is survived by her son Mike, daughter-in-law Barbara, son Pat, daughter-in-law Lynne, grandson Sean, his wife Roxann, great-granddaughter Lovey, granddaughter Ryanne Tezanos, her husband Jose, and great-granddaughter Riley. A Memorial Mass in honor of Ellie will be held at Brophy Chapel at 9:00 a.m. on Saturday, January 8, 2011. In lieu of flowers the family suggests memorials be made to Brophy College Preparatory. Ellie would love it if in her memory you would go out and enjoy a kid’s ball game. 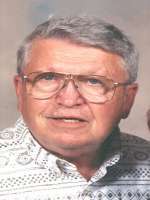 Jack Bowles, 68, passed away peacefully at home on November 14, 2010. Born March 4, 1942 in Crown Point, NY, he moved to Phoenix with his family in 1947. Jack was an entirely self-made man with a great entrepreneurial spirit. 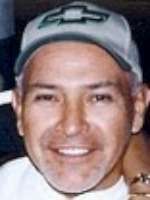 He was well-known and greatly respected in all facets of the Arizona swimming pool construction industry for 50 years. Jack was a man of rare, unwavering integrity who inspired loyalty and admiration in those whose lives he touched. The magnitude of his generosity extended to loved ones and strangers alike. He was a caring, devoted husband; a dedicated, loving father and grandfather; a steadfast, dependable friend; and an honest, trustworthy businessman. It is impossible with mere words to begin to describe what he meant to those who loved him or the void created by his absence. The only comfort comes from the knowledge that he is once more with his beloved wife, Joyce, the loss of whom broke his heart irreparably. Memorial Service will be held on Saturday, November 20th at 2:00 p.m. at Whitney & Murphy Funeral Home, 4800 E. Indian School Rd., Phoenix. 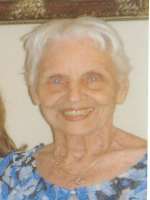 Colette C. Assad 77, died November 11th, 2010. Colette was born in Allentown, PA and was an active, vibrant woman until her sudden illness and death. She attended nursing school in Philadelphia until she met her love, Abraham and realized her true calling was as a homemaker and wife. Together they spent 48 years raising a family and leaving fond memories for everyone they touched. Colette continued to be a wonderful mother, grandmother (situ) and great-grandmother after the passing of her husband in 2002. In addition to her husband, Colette was preceded in death by her father and mother, Russell and Florence Yates. She was a devout Orthodox Christian and on Sunday was in her regular spot at St. George Antiochian Orthodox Church. After church she would hurry home to watch football or golf one of the pleasures she shared with her late husband. Colette was a giving woman, supporting many charities and spent much of her adult life as a hospital volunteer. Until her death she spent 36 years working with John C. Lincoln Deer Valley Hospital volunteer services. She enjoyed her social time with the Red Hatters at Sunrise and visiting neighbors during her regular walks with her dog. Colette was precious to her family and was a great example of caring. She is survived by two sons, Abraham III and Michael, Brother Gary Yates, five grandchildren, Abe IV, Leah, Jessica, Sean and Kira and 3 great-grandchildren. Visitation will be held from 6:00-8:00 PM, Thursday, Nov. 18th, 2010 at St. George Antiochian Orthodox Church, 4530 E. Gold Dust Avenue, Phoenix. Funeral Service will be 10:30 AM Friday, Nov. 19th, 2010 at St. George with Interment following at 12:30 PM at The National Memorial Cemetery of Arizona, 23029 N. Cave Creek Road, Phoenix. 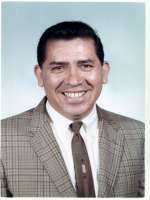 In lieu of flowers, memorial contributions may be made to the El-Zaribah Shrine Temple, Hospital Fund, 552 N. 40th St. Phoenix, AZ 85008 or the AZ Humane Society, 1521 W. Dobbins Rd. Phoenix, AZ 85014 www.azhumane.org. For contributions please note “in memory of Colette Assad”. Entered into Eternal Life on November 11th, 2010. Born January 30, 1924 in Phoenix, AZ. 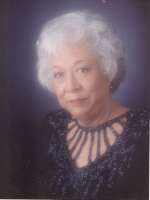 She is preceded in death by her husband of 47 years, William “Bill” Howard, Jr. and her brother Robert Dunst. 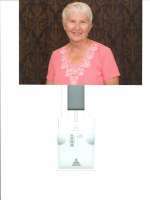 Rosemary was an extraordinarily classy and loving lady. While with us in body, her simplistic heart and enduring spirit were demonstrated through her strong Catholic faith and her love and devotion to God, her family and her friends. Nurturing and generous best describe Rosemary as a mother and grandmother. 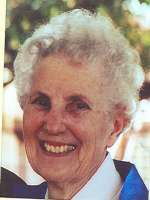 She volunteered for over 20 years at the Marian Shop at St. Francis Xavier parish and was active in the St. Francis Mother’s Club and Brophy Mother’s Guild. Rosemary is survived by brothers Urban Dunst of Rainbow, CA and Frank Dunst (Elaine) of Filmore, CA; her sons Andy Howard of Yuma and John (Madeleine) of Phoenix and her grandchildren Christopher (Annette), Ginelle, John Michael, Melissa (Andy), and Yancey, along with five great-grandchildren. The warmth of her smile, gentleness of her touch and sweetness of her laughter will be forever remembered by all who knew her. A celebration of Rosemary’s 87 years of life will begin with Visitation from 3-4pm, Rosary at 4pm, Sunday, November 21st, at Whitney & Murphy Funeral Home, 4800 E. Indian School Road, Phoenix. Funeral Mass will be held at 10am, Monday, November 22nd, St. Francis Xavier Catholic Church, 4715 N. Central Avenue, Phoenix. In lieu of flowers, donations may be sent to 1st Way , 333 E. McDowell Road, Phx., AZ 85004.